The money was purportedly used to fund a global shopping spreea $250 million super-yacht, high-end real estate, and Monet and Van Gogh artworks were among the items allegedly bought with cash plundered from public coffers. 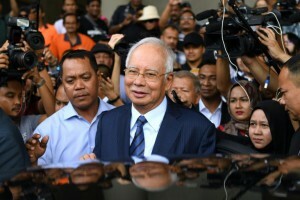 Public revulsion at the graft allegations played a large part in the election defeat of Najibwho set up the fundand a coalition that had ruled Malaysia uninterrupted since independence from Britain in 1957. The case involves three counts of money-laundering, three of criminal breach of trustwhere someone is accused of dishonestly using something entrusted to themand one of abuse of power. Najib has pleaded not guilty to all the charges.